From “Jungle Boogie” by Kool and The Gang to “Hey Ya!” by OutKast to “What’s Free” by Meek Mill, the hip-hop music genre has been a part of multiple generations of students’ lives. Hip-hop is a broad genre containing different sounds based on certain cultural preferences; some may consider it as the most extensive music genre. 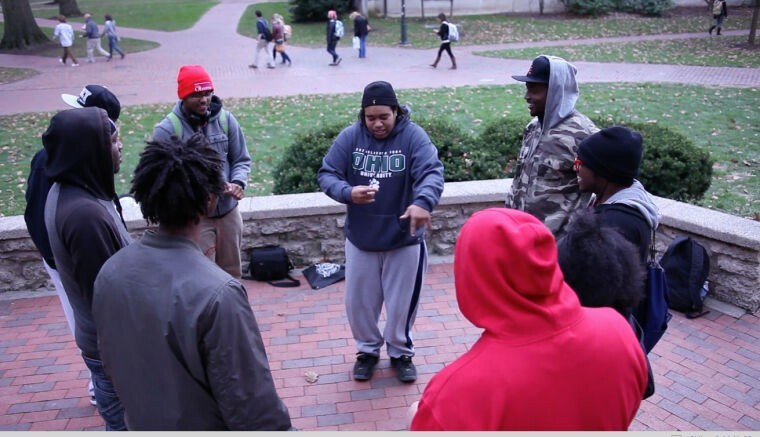 Ohio University offers many clubs and organizations for students passionate about hip-hop, such as Hip Hop Congress. 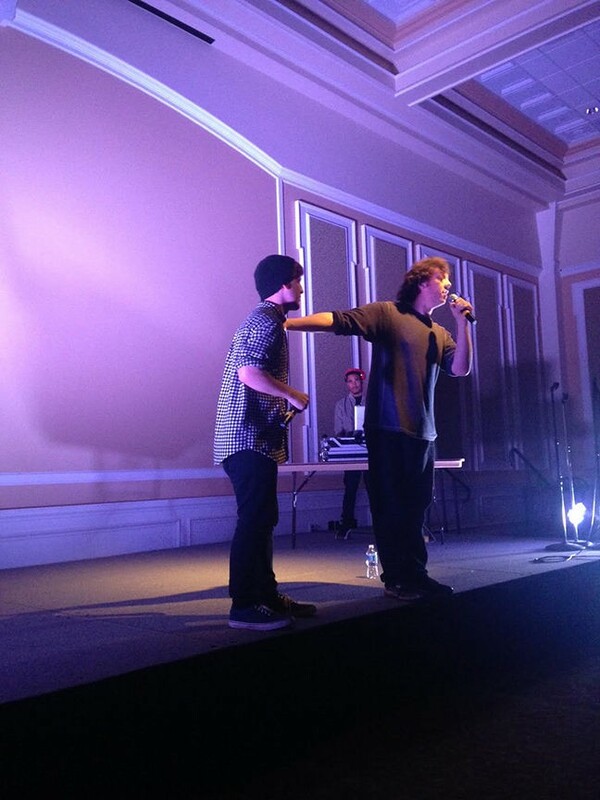 Hip Hop Congress is a student organization that uses music to allow the community to express their opinions and explore social action, according to its website. The organization motivates its members to become politically minded and culturally creative. To combat the unfavorable stereotypes some relate with the hip-hop culture, Hip Hop Congress seeks to expose students to the positive aspects of the art form. The organization provides a comfortable and motivational setting for students with creative minds who may be afraid to express themselves. Hip-hop is primarily known as an art form introduced by the African American culture. While that is correct, there are earlier forms found from several ancestries, such as from the Caribbean in countries like Jamaica and Puerto Rico, Akil Houston, a hip-hop scholar and professor in the African American Studies department, said. Although hip-hop has global influences, the first hip-hop party took place in the Bronx in 1973, at 1520 Sedgwick Ave, an apartment building where Clive “DJ Kool Herc” Campbell hosted a party, Houston said. The first rap single was released in March of 1979 by Fatback Band called “King Tim III (Personality Jock).” However, the first single to become a radio hit was “Rapper’s Delight,” released by The Sugar Hill Gang in 1979. Kurtis Blow is known as one of the founding fathers of hip-hop, as he was the first rapper signed by a major label, Mercury Records. Some of the most prominent and influential figures in the hip-hop industry who are still currently active in making music are Jay-Z, Kanye West and Lil Wayne. Many think of Tupac Shakur as the most talented hip-hop artist of all time. Songs such as “Dear Mama” and “Hail Mary” helped contribute to his fame. His career was cut short, however, when he was assassinated at the age of 25. The first movie with a hip-hop focus was Wild Style, directed by Charlie Ahearn, released in 1983. The movie was not a typical Hollywood film, but rather more documentary-style. The broad genre of hip-hop has multiple branches of influences and related sounds, Houston said. Besides his title of hip-hop scholar, Houston has a strong passion for music from African cultures and has been a DJ since the age of 9. He has been involved in hip-hop culture since before a PhD for its area of study was invented. At a young age, he would create mixtapes with his beats, and recruit rappers to rap over them. Houston has also written in edited volumes about hip-hop and how it is expressed. For example, in The Cultural Impact of Kanye West by Julius Bailey, Houston wrote about how to designate a genius, based on an essay by Ralph Ellison. Many students on campus enjoy hip-hop music and have their own preferences of favorite artists and subgenres. Hip-hop artists perform dozens of different hip-hop subgenres, such as crunk, jazz rap, g-funk and freestyle rap. Shakur Laney, a senior studying specialized studies, said his current favorite artists are Q Money and Meek Mill, but he also creates his own music.